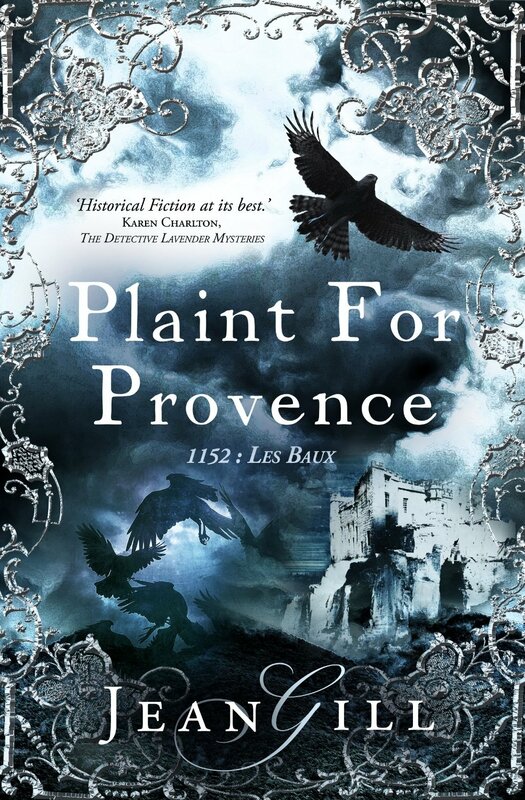 Summoned to the court of Les Baux, Estela and her lover, Dragonetz, are embroiled in two rival claims for power as their feuding liege lords gather in Provence. Although Estela is reluctant to leave her idyll with her young child Musca, and her pursuit of Arabic medicine, she welcomes the chance to show her musical skills and to support Dragonetz, who must use his swordsmanship to play peacemaker. Meanwhile, Estela faces her own demons. Confronted with her childhood abusers, threatened and attacked, she confides in her friends. Unfortunately, one of those friends is Dragonetz' worst enemy and Estela has no idea of what he is capable. In this third volume of the Troubadours Quartet, Jean Gill, the 'master of historical intrigue', continues to weave the gripping adventures of Dragonetz and Estela seamlessly into real historical events. Medieval France comes alive in all its facets, from healing with leeches to training a goshawk. This is another fantastic instalment of The Troubadours Quartet: full of intrigue and swashbuckling action. As this is the third book in the series, I really feel like I know Estela and Dragonetz but yet they continue to surprise me. As with the other books in the series, Song at Dawn and Bladesong, Plaint for Provence gives us another glimpse into medieval life. Estela is now becoming proficient at practising medicine and she even adheres to the Hippocratic Oath. I found her use of herbs really fascinating and it's almost like seeing the origin of complementary medicine. There is a lot happening in this book so it races along at quite a pace. Estela comes face to face with her father and step-mother for the first time since she ran away, Dragonetz gets a marriage proposal and there's a breathtaking tourney. I really enjoyed Estela's chance meeting with the Gyptian who is now a beekeeper in a remote rocky area. The Gyptian gives Estela more puzzles to ponder and I never would have imagined what happens when Estela returns later to pay another visit - suffice to say I will remember that scene for quite some time! Nici, Estela's big white dog, makes several appearances, I'm pleased to say. He has become almost as important a character as Estela or Dragonetz. The ending is brilliant and it was only fitting that Nici played such a big part in the final scene that resulted in a massive gasp from me and left me chomping at the bit for the next instalment, wondering if Estela will ever receive Geoffroi's gift. The Troubadours Quartet is a fantastic series for lovers of historical fiction, especially as it is so unusual for books to be set in the medieval period. It is written in such a manner that it fully immerses the reader into the period, and as it refers to actual historical people and events it is quite easy to forget that you are reading fiction.